Smoking affects the entire body, increasing the risk of many life-threatening diseases—including lung cancer, emphysema, and heart disease. What some might not realize however is the strong effect smoking has on the digestive system. Smoking increases the chances of developing many types of cancers of the digestive system, including the mouth, esophagus, stomach and pancreas. Research has also suggested that smoking can contribute to liver, colon, and rectal cancers. 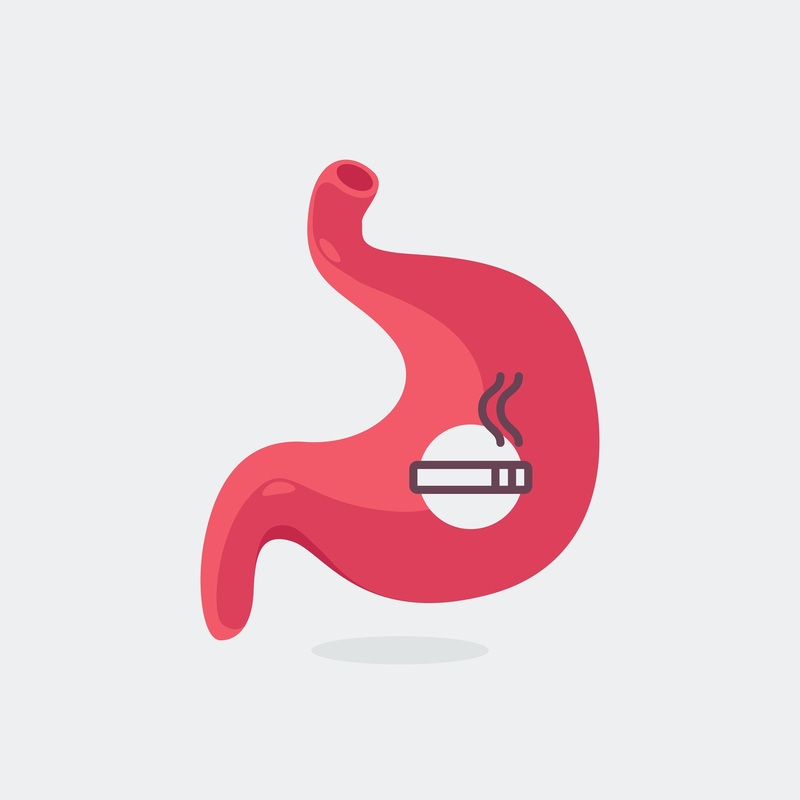 In addition, smoking can be a factor in the development or progression of many common disorders of the digestive system, such as heartburn and gastroesophageal reflux disease (GERD). When you smoke, it can cause the lower esophageal sphincter to weaken. This muscle between the esophagus and stomach keeps stomach contents, such as acids intended to break down foods, from flowing back into the esophagus. When the lower esophageal sphincter weakens, stomach contents may reflux into the esophagus, causing heartburn and possibly damaging the lining of the esophagus. This entry was posted in DSRIP, Smoking and tagged effects of smoking, Smoking Cessation by Jamaica Hospital Medical Center. Bookmark the permalink.